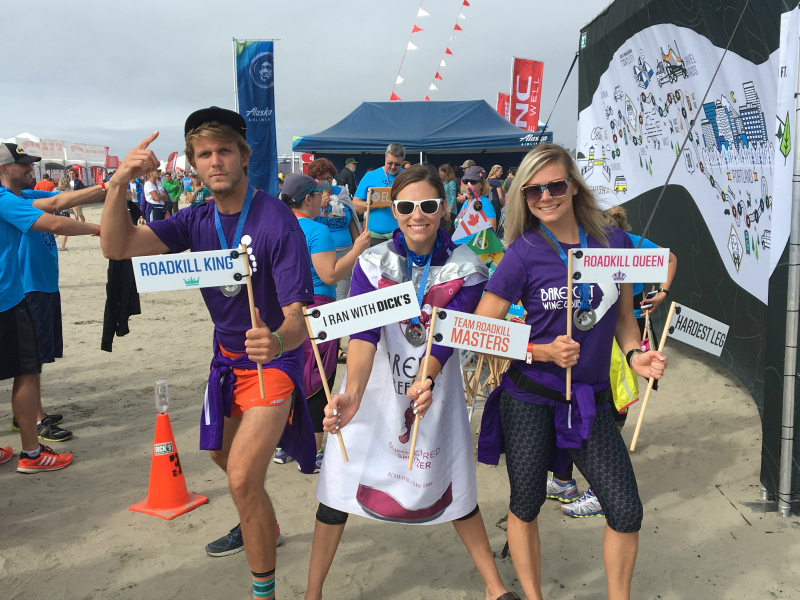 For the second year in a row, my sister invited me to be a member of her team "Foot Patrol: Running with Sole" at the Hood to Coast Relay. As with last year's race, it fell on my birthday weekend, but this year was different... not only was it my 30th Birthday--hooah!--but instead of my birthday being the day before the race, this time we got to finish on my birthday! In addition, my brother was also invited to join so it truly was such a fun experience. Stew and I got to Portland on Thursday, the day before the race. We bummed around Portland, exploring the food trucks and downtown sights. We met up with the team at Paragon for a pre-race dinner, and it was so nice getting to know our entire team and the amazing volunteers who came to support us. We enjoyed delicious food (Paragon's Brussels sprouts are amazing!) and some fine wine before tucking in early in anticipation of all the sleep we wouldn't be getting over the next couple days. 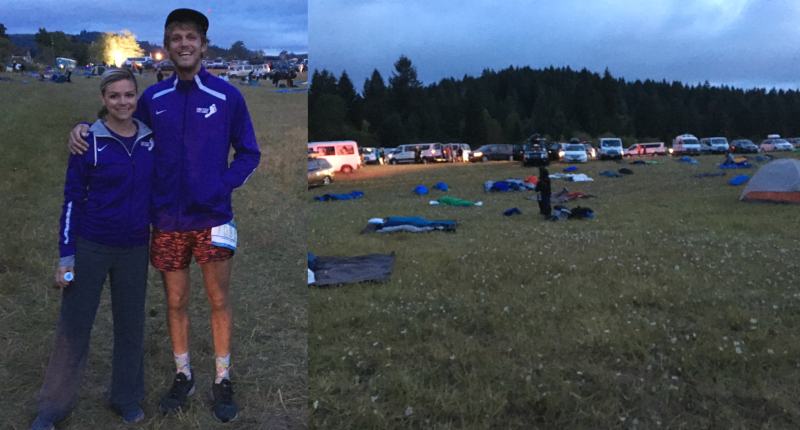 We woke up early Friday morning and rounded up all of Van 1, heading up to Mount Hood to kick off the race. Last year, I was in Van 2, and this year we thought we'd give Van 1 a go... and we sure were glad we did (more on that later). 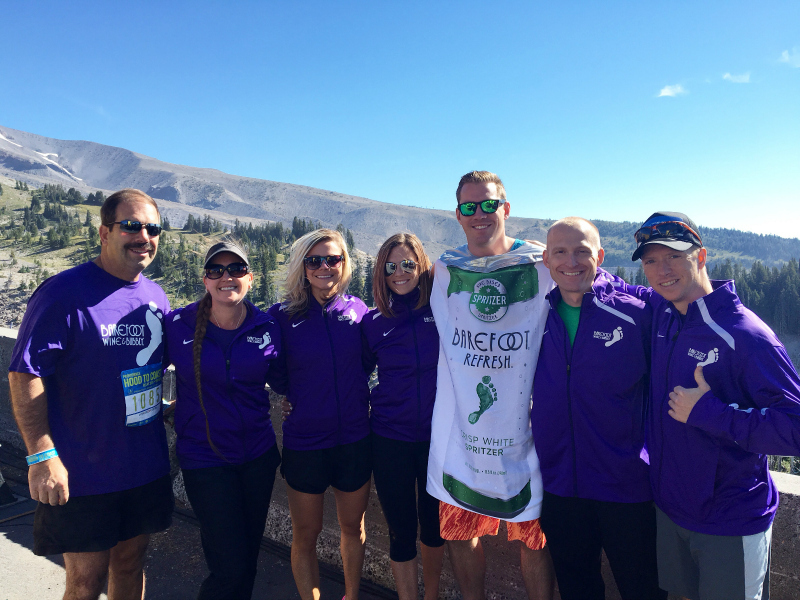 We got up to the start line and our team began running at 10:15 am, with Karl--The Stache--braving the first leg's downhill slope. I was our van's fifth runner (the number one difficulty out of 12 and longest of all the legs at 19-miles total) so I had a bit of time before I began my leg. I cheered on my sister as she ran her leg (she killed it despite the heat! ), not looking forward to mine as temperatures were creeping into the high 90's. 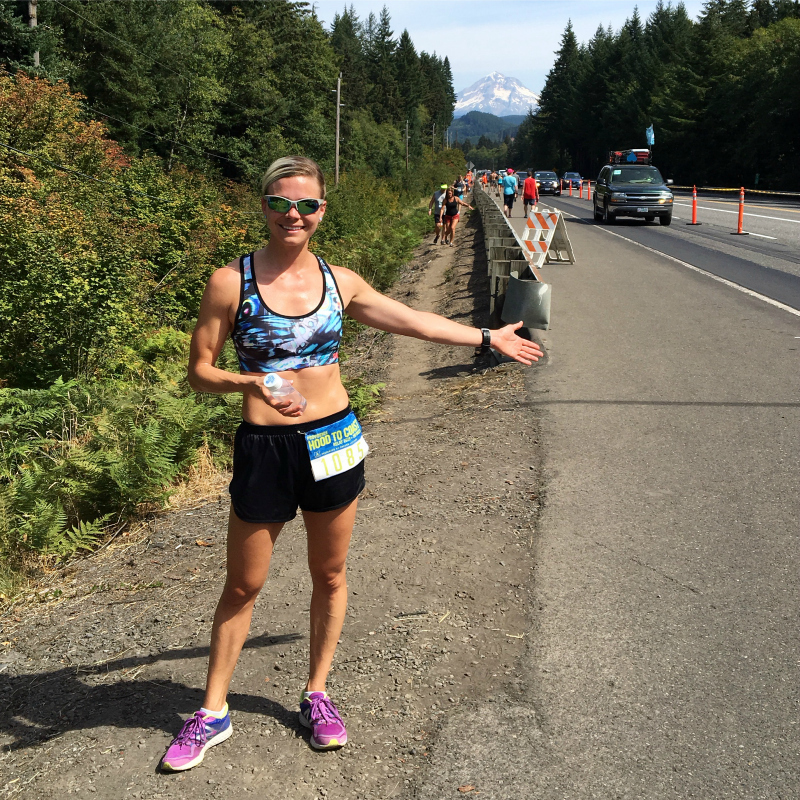 When I received the bracelet, I braced myself for my 5.95-mile leg which was pretty much straight uphill, a slow and steady climb without a break. While my leg did feel like it went up, up, up, I was able to maintain a decent pace of 8:05/mile. It wasn't what I wanted, but for a "very hard" uphill leg, I accepted it! I finished and was so glad to be done with it... boy, it was hot! After our van finished our first legs, we went back to one of our runner's homes in Portland and took quick showers. We shoveled down some Subway and tried to rest, though we were all anticipating our night legs. At about 7:15, we headed back out to downtown Portland for our next exchange. Our van retook the bracelet just as it was getting dark, and we were all pretty jazzed up for the cooler weather and our night legs. I got the bracelet around 11:30, stepping off on my 7.77-mile leg (leg 17) with a little bit of pain in my calves and a slower pace than I had hoped for. I ended up coming in to the finish with a 7:20/mile pace, passing several teams along the way. As I came in to the exchange, my sister realized that the clock had passed midnight and it was now officially my 30th Birthday! She, along with the rest of our team, began singing "Happy Birthday," and by the time I handed the bracelet off to her, the entire exchange was singing along... about 100 people total helping me ring in the big three-zero. It was an unforgettable experience and one that I'll cherish for a long time! After our second legs, we stopped off at a hotel along the way for another quick shower and about an hour of downtime. That hour couldn't have gone by quicker, and before we knew it, we were on the road again to Astoria for our next big exchange. My last leg (leg 29) was another "very hard" uphill leg, coming in at 6.05-miles. This one was a very steep uphill for the first four miles and then a very steep downhill for the last two miles. My goal was to maintain a comfortable, easy pace on the uphill and then just kill it on the downhill... and I did just that! I kept my pace around 8:00-8:30/mile on the uphill, and sped it up to about 6:30/mile on the downhill. I cruised right in through the end of my leg and passed off to my sister, who ran her last leg in the Barefoot Refresh Spritzer Can suit. She is a rockstar, I tell you what! When my sister was finished, our van was done... hooah! We were stoked! We knew our other van still had several hours before they'd be finished, so we drove to Seaside to snag some Bloody Mary's and celebrate being finished with our legs! The bloody's were good, so good, and sitting around the table watching the beach and all the runners finish while we sipped our drinks only further reiterated why we'd be Van 1'ers for life! Our second van got to the beach around 3:15 pm, and we all joined our final runner with a last sprint to the finish line. We ended up finishing in 28 hours, 53 minutes and 55 seconds, team #205 overall out of 1200. Our goal had been to finish under 29 hours so hallelujah... we had done it! We also set a goal of 700 road kills and totally smashed that with over 850. I had set a personal goal for 81 and nailed that goal right on the head with a final tally of 81, so I was stoked about that as well. What a way to turn 30, right? We ended up relaxing at the Barefoot tent for the rest of the afternoon and bummed around Seaside that evening, playing pool, dancing to Whitney Houston, and closing down one of the local bars with a family dance session that would give any awkwardly-dancing family a run for their money. It was truly one of the very best birthdays I've ever had, and one of the most fun races I've ever run! 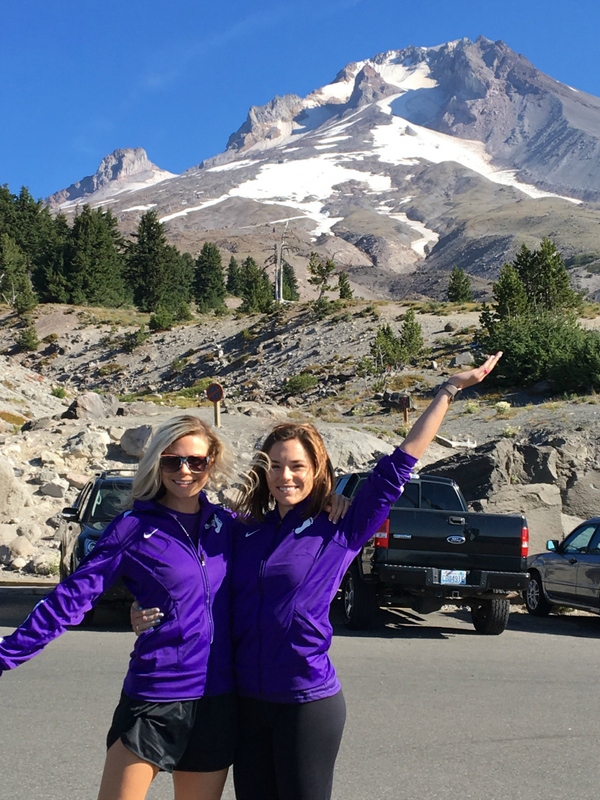 Van 1 up at the Mount Hood start line, ready for our first runner to take off! 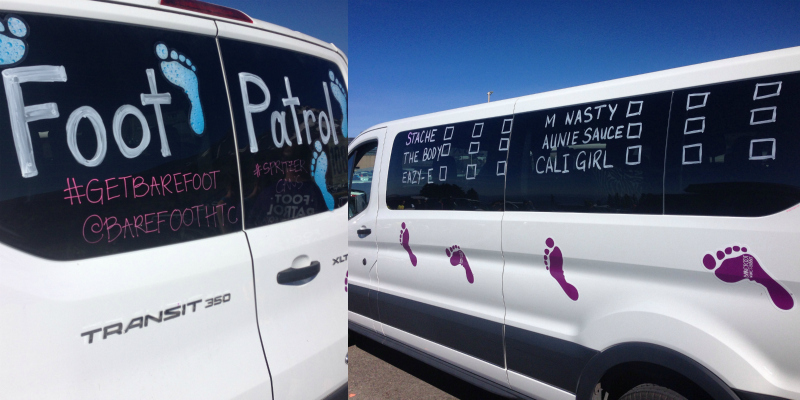 We prepped our van for lots of road kill tallies... our van alone had 350+! After my first leg (leg 5), a "very hard" uphill leg of 5.95 miles in the 90+ degree heat. Very hard it was! Foam rolling those sore calves after my first leg. We met up with my brother, who was in Van 2, at our nighttime exchanges between legs 12-13. Check out all the people trying to catch a bit of sleep! 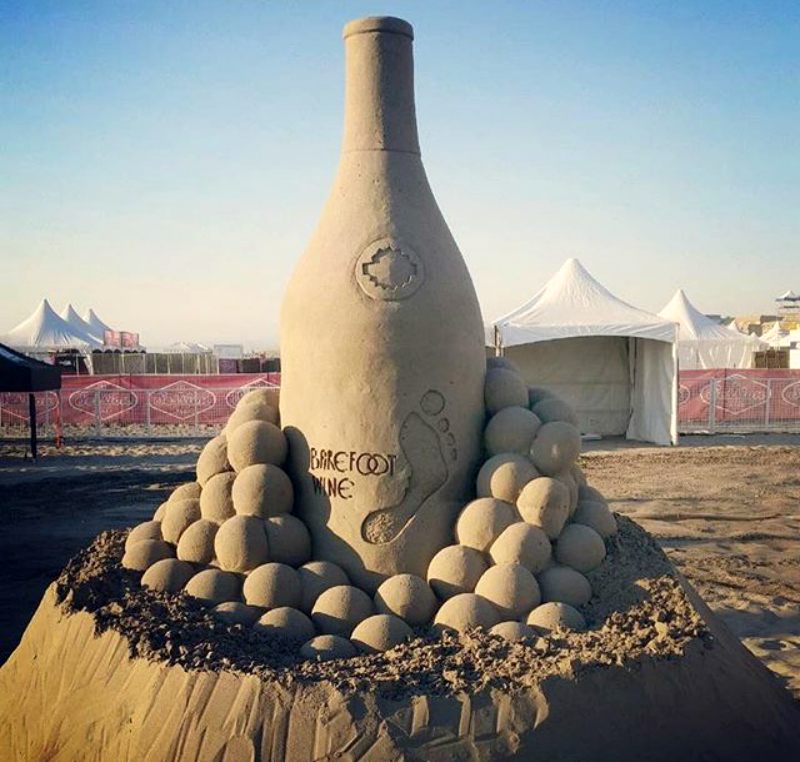 The awesome Barefoot Wine & Bubbly display at the HTC after party. Post-race family picture! Stew had the most roadkills of any dude, I had the most of any girl as well as the #1 hardest ranked leg (legs 5, 17, 29), and Marn killed her legs, finishing her last one while wearing the Barefoot Refresh can! Props, Marn, props. The team splurged on some delicious cupcakes to help me celebrate my 30th Birthday... how sweet! Our final team photo... team Foot Patrol: Running with Sole, you guys are the BEST! It's hard to explain how much I love relays and how fun they are. When you tell someone you're going to go run a 200-mile relay with 11 other crazies and it's going to take you almost 30 hours--most people look at you like you're insane. What they don't realize is how supportive everyone is, how fun it is to all cram together in a sweaty, dirty van and live off of protein bars and bananas, and what a memorable experience it all is. And the best part is that it's different each and every year. I hope I'm able to join this team on their HTC adventures for as long as they'll have me. 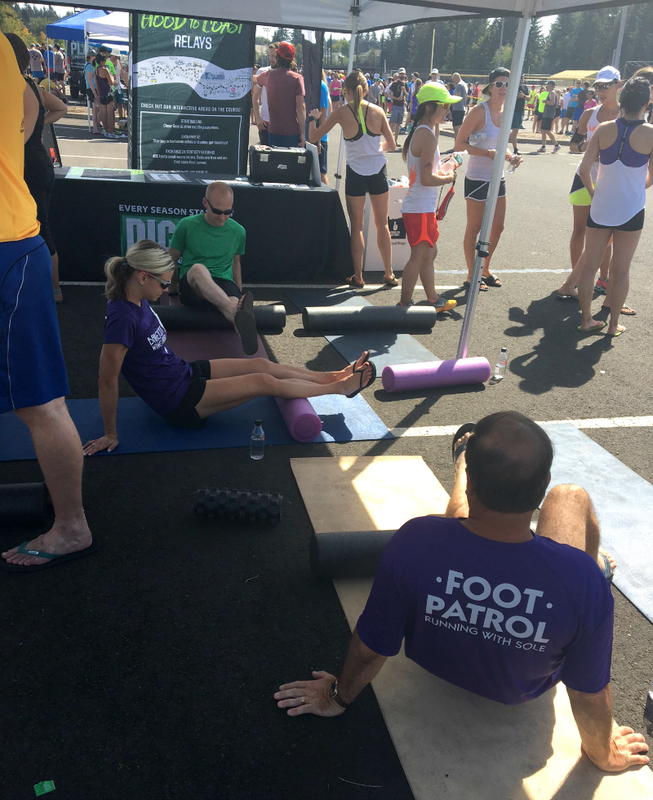 Thanks again to Marnie & Team Foot Patrol for inviting me to be on your team this year. You gave me a weekend for the memory books and helped me ring in my big three-zero in the best way possible. I am so grateful for everything and hope to join you again next year. Way to go, Foot Patrol... we ran with sole to annihilate each of our goals!